We are a leading Manufacturer of level control trainer and level loop control trainer from Pune, India. Our organization has successfully expanded its business in market owing to the offered elevated quality array of Level Control Trainer. Offered control trainer is manufactured using the excellent quality component and innovative techniques by our dexterous professionals in line with set industry norms. 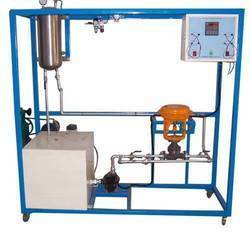 We provide this control trainer in different sizes and specifications as per need of our customers. Apart from this, offered control trainer is widely praised among the clients for its remarkable qualities. Our organization has successfully expanded its business in market owing to the offered elevated quality array of Level Loop Control Trainer. Offered control trainer is manufactured using the excellent quality component and innovative techniques by our dexterous professionals in line with set industry norms. We provide this control trainer in different sizes and specifications as per need of our customers. Apart from this, offered control trainer is widely praised among the clients for its remarkable qualities. Looking for Level Control Trainer ?